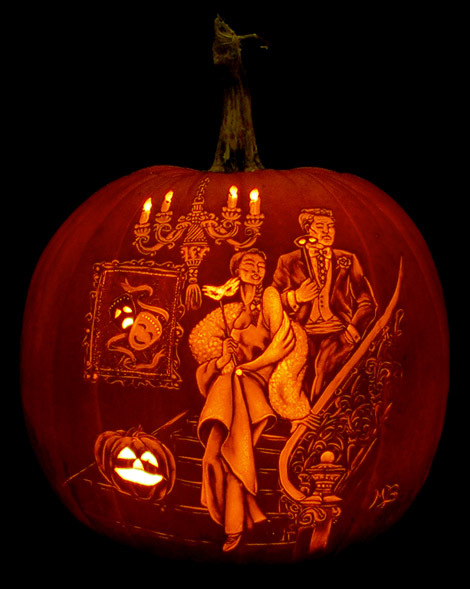 Check out these Awsome Pumpkins! 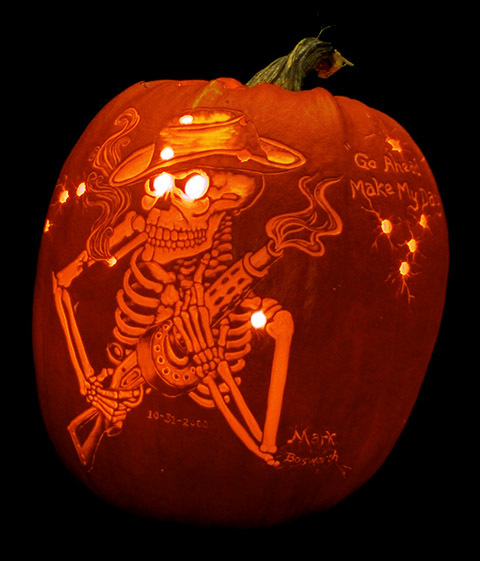 "The Royal Equine" Carved in Butternut 7"x 11". Displaying the flair of an arabian & the strength of the quarter horse. This royal breed has been a first place winner at all shows wherever entered. 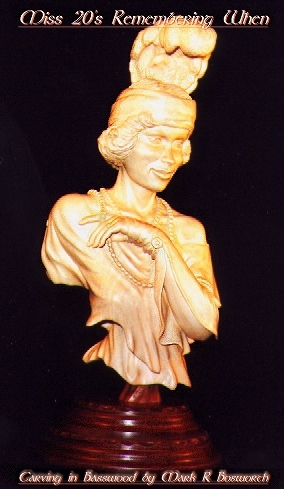 "Miss 20's Remembering When" Carved in basswood aprox 11". Beautiful Blues and red ribbons have surounded this lady at the shows. 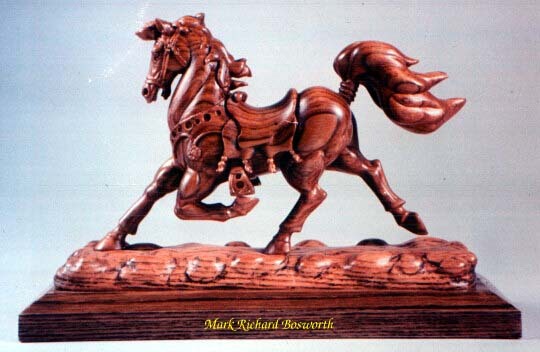 "Big Cat Surprize" The lion is white cedar,the beetle & the base are black walnut 10". The over extended toe stand is evidence the beetle has given this young lion quite a start. "W o W...This web site is now four years old." Last update was on Feb.16th, 2001.